I got another haircut today. And to my surprise, the hairstylist praised my hair because here in UAE, it's not usual for one's hair to stay healthy most especially if it has been chemically treated. I had my hair coloured more than a month ago (the same day I got a haircut) but despite the drying effect of water here and the wax I put on everyday, my hair color still looks like I just had it done. 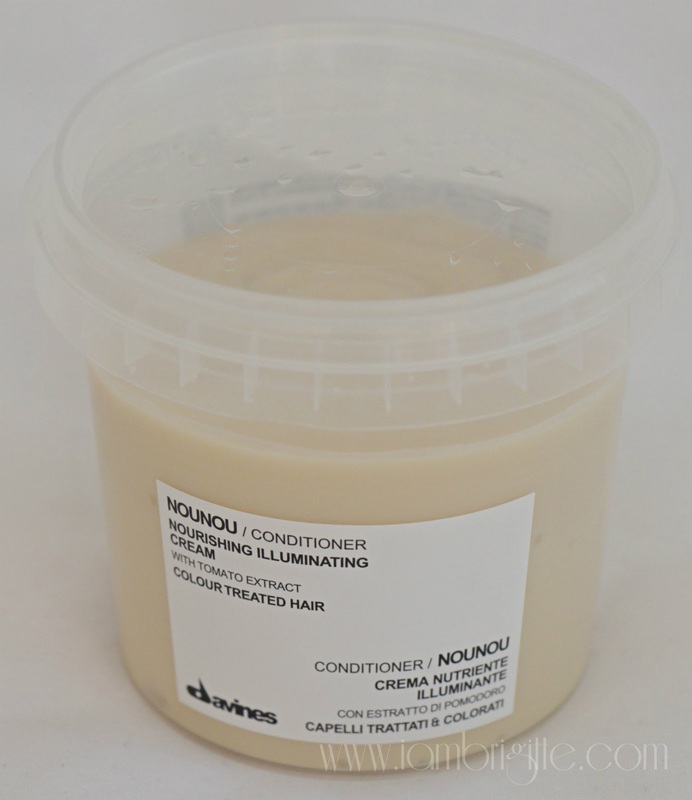 NouNou means Nourishing, as this specific Davines line is best suited for treated and colored hair. But when I got back, what I have left in the bathroom were all for curly hair. I first tried using my husband's shampoo but my hair feels stiff even without wax. And my scalp started to feel itchy. Yaiks! I haven't suffered from dandruff before and I don't have the intention to start now so I stopped using it. We haven't done some grocery shopping at that time so I figured, why not use these for the meantime. And boy, was I glad I tried these! 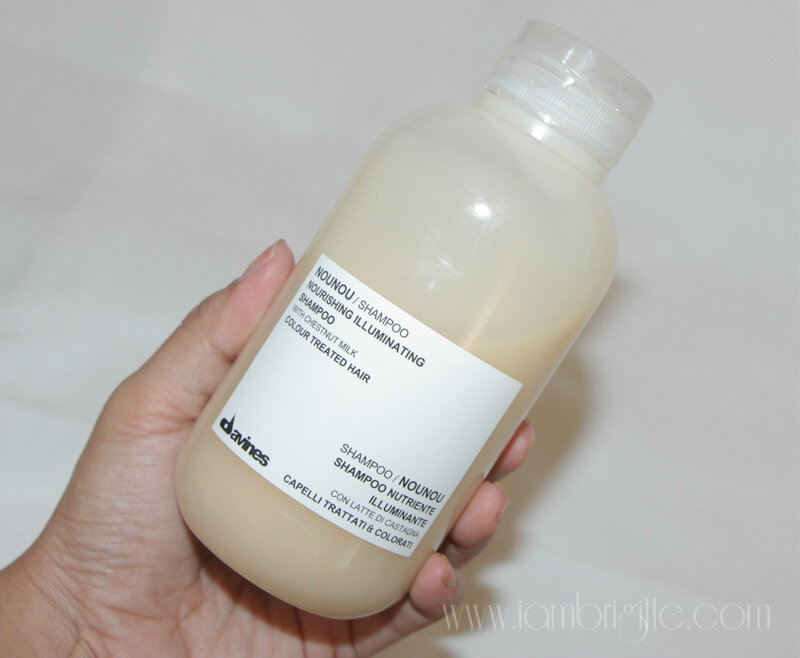 Ideal for chemically treated hair as it brings out the original natural hair tones and restores health and shine to damaged hair. It does not have Sodium chloride that causes colour fading so it's safe to use by those with coloured hair. This feels like clarifying shampoo to me because it totally gets rid of all the hair wax. It smells nice, I'm thinking hmm…eggnog? (laughs) It lathers very well and my hair remains soft even without using a conditioner. It is packaged in a recyclable, easy-to-squeeze bottle and it's easy to see how much product is left. I only need a little each time and have been using it for more than a month and I still have a lot left which I think would last me another month. 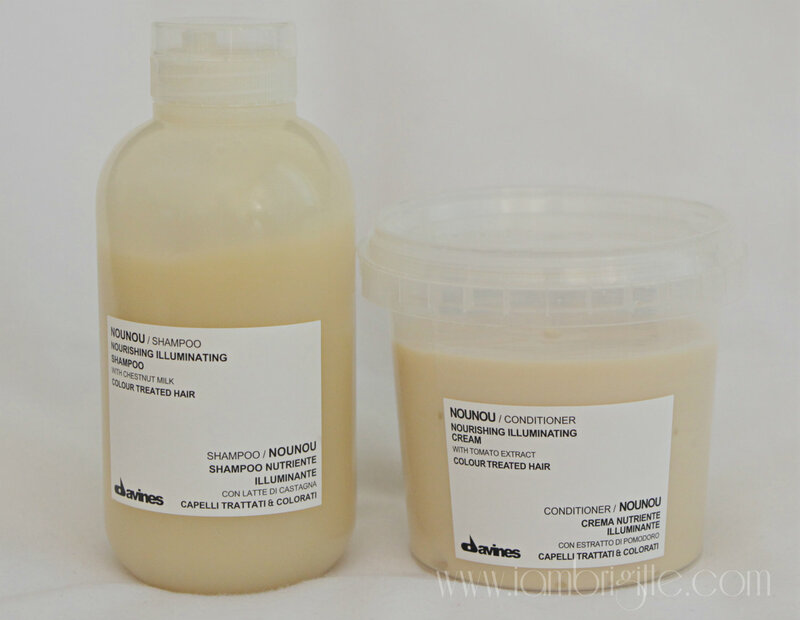 It restructures and moisturizes while protecting hair colour. It restores body and suppleness and maintains the same luminosity and fullness of tone. Don't get turned off with its earthy, musky scent because this is one GREAT product. The "slip" after using this is just amazing. But it doesn't leave my hair oily nor weigh it down. It has a thick, creamy consistency but is easy to spread evenly on hair. I'm not sure how often this should be used but I use it everyday! (laughs) Just like the shampoo, you just need a little each use so this tub would probably last you a good 2-3 months. Or maybe it depends on how long your hair is. The only thing that I don't like in this is the packaging. I mean, I love that it is recyclable but I wish it comes in the same packaging as that of the shampoo (perhaps with a bigger opening). I get water inside the tub whenever I use it and I feel like I am sort of spoiling the rest of the product. Yes, these two products don't come cheap but why scrimp on products that will keep your crowning glory at its best? If you have long hair, I think this will last you at least a month and a half or maybe longer. I think Davines products are only available at selected salons. So yeah, they're not as accessible like the usual hair products. Of course, I wouldn't mind scouring UAE for these. But if you know of a salon which sells Davines products, please let me know. How about you, what products do you use on your hair?